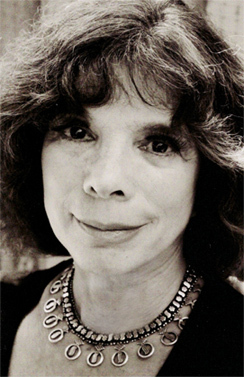 MARIA ESPINOSA is a novelist, poet, and translator as well as a teacher. Her publications include four novels: Incognito: Journey of a Secret Jew, Dark Plums, Longing, which received an American Book Award, and Dying Unfinished, which received a Josephine Miles Award for Literary Excellence from PEN Oakland. She has also published two collections of poems, Love Feelings, and Night Music, and a translation of George Sand’s novel, Lelia. Espinosa is concerned with human communication on a level that transcends the norms permitted by society. Her novels focus on the subtle as well as the obvious forces that shape a human being.